Halfpenny Cottage is a superb, detached property in the village of Harrowbarrow, on the Cornish side of the Devon & Cornwall border, with outstanding views of the glorious Tamar Valley. Designed and furnished to a very high standard throughout, the ground floor has an open plan Lounge/Kitchen/Diner with French doors opening onto the balcony, which overlooks the pool, gardens and valley beyond. With a luxury shower room, one double bedroom and one twin bedroom on the ground floor, Halfpenny Cottage is also suitable for guests with limited mobility. On the first floor there is a double bedroom and another luxury shower room with double-size shower. Facilities include ; Electric oven & Hob, Fridge/Freezer, Microwave, Dishwasher, Washing Machine, Tumble Dryer, Flat Screen HD TV with freeview, DVD Player, Radio/CD Player with MP3 docking station, Wireless Broadband, Wooden Cot, High Chair and Stair-gate. 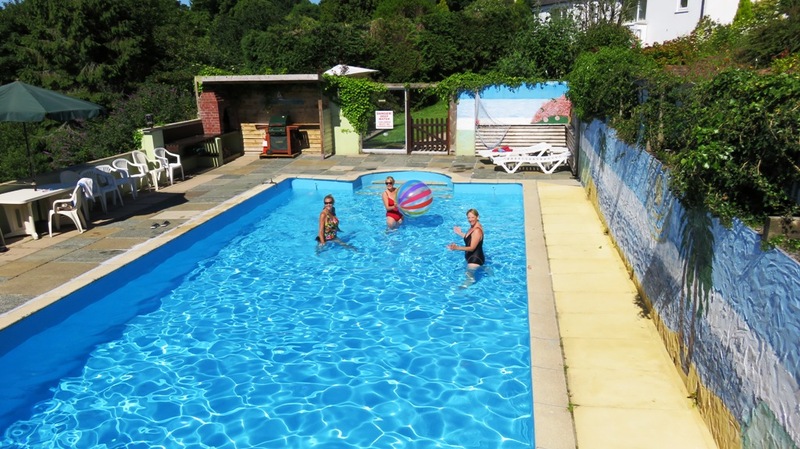 With shared use of an impressive solar heated outdoor swimming pool, available from mid May until the end of September, Halfpenny Cottage is ideal for family holidays. In addition to a private garden, guests are welcome to use the gazebo in the wildlife garden, which is ideal for ball games, badminton and hide and seek. Overnight charging from a 13 Amp scoket is now available at the cottage. The nearest fast charging point for electric cars is in Callington, which is 2 miles away in Callington Car Park.